Also, trees of timber/produce value (pecan, cedar, walnut and oak) slowly establishing in sheltered areas. 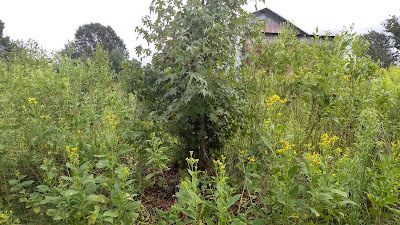 Our goal is to assist the forest's natural regeneration. 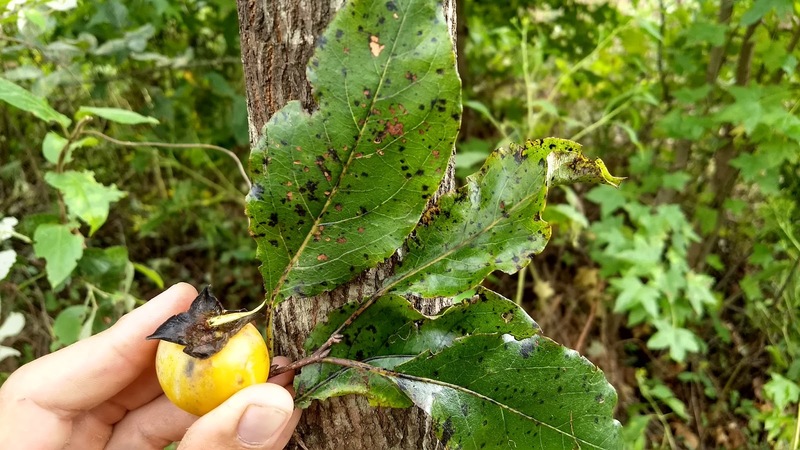 We can steer it towards specific economic and ecological objectives, like nut/fruit/timber production, wildlife habitat, soil building and carbon sequestration, using the following strategies. 1. Assisting specific trees. 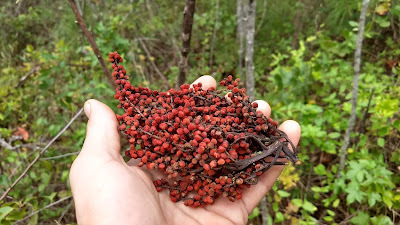 We can help a sweetgum grow through a blackberry patch, for example, or help a pecan grow through a sweetgum thicket, to accelerate natural succession and favor valuable trees. Mulching can boost their growth by retaining more moisture and feeding decomposers that enrich soil. 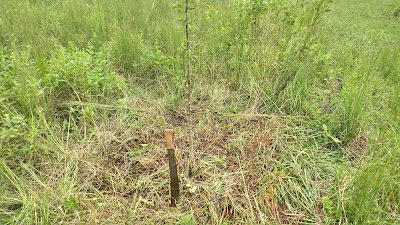 Also clearing a five foot radius around them temporarily "releases" them from soil, water and light competition, to borrow a USFS phrase, as well as add organic matter to the soil. 2. Encouraging natural regeneration. To reduce our own labor, we can recruit seed dispersers to start forests for us. We can attract them by installing water features, brush piles, burrows, bird feeders or bird houses; or by ensuring diverse habitat, like a blackberry patch where critters take shelter, or a lone "nuclear" tree where birds perch. Understanding which trees are spread by which animals, and which habitats those animals require, can help planning this strategy. 3. Focus on strategic areas. Young, vulnerable trees are more likely to survive and thrive near mature trees, who not only seeded them, but will continue to protect them from extreme weather and enrich the soil around them with leaf litter. 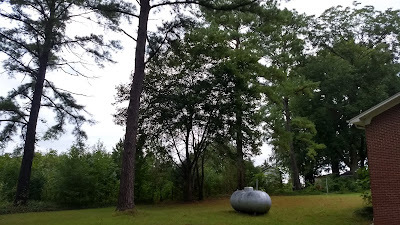 Therefore, starting near an existing forest (like along a stream or property line) and working outwards is the most efficient use of our labor. 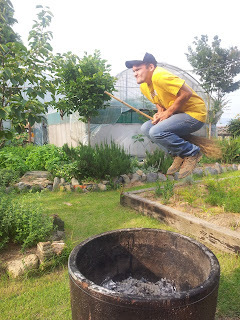 Far easier than, for example, planting trees ourselves in an open field, which may require years of maintenance on top of the initial costs of raising and transplanting nursery stock, and which may be more likely to fail. Ensuring diversity – more variations in plant species, vegetation structure, topography microclimate means greater diversity in wildlife. 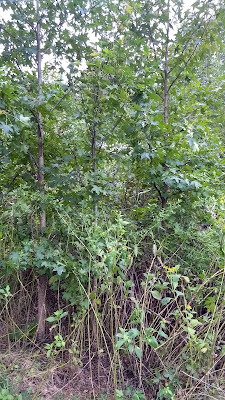 Above, adjacent to the project site are suppliers of seedlings: mature white pine, willow oak, sugar maple and pecan. 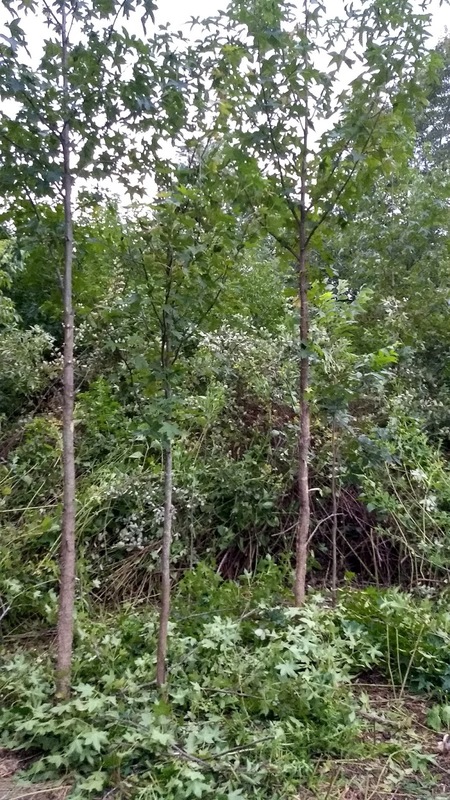 Below, before and after pictures of clearing around three sweetgum and a pecan. Above, a crowded sweetgum. 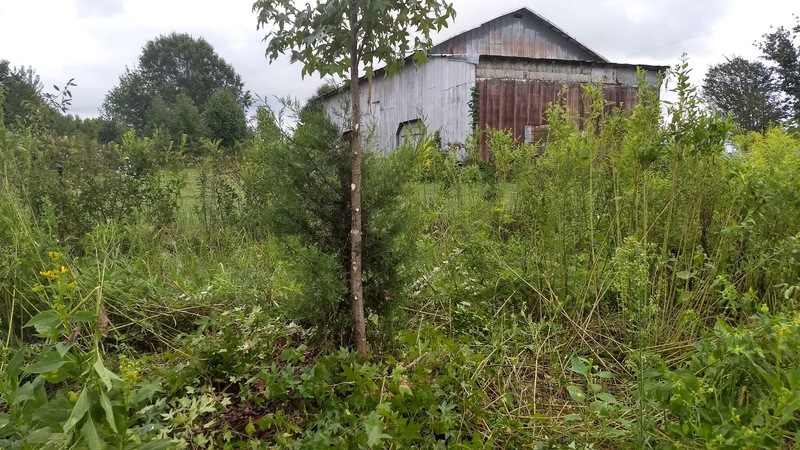 Below, a freed sweetgum, a cedar and a barn. 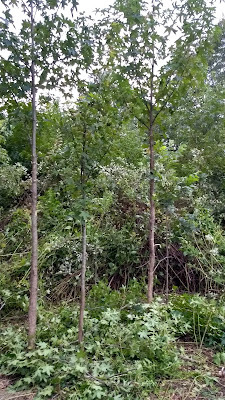 Management - "Young trees are able to withstand crowding, however, they become intolerant to competition with increasing age. Removal of overstory trees results in rapid growth of young sweetgum trees. 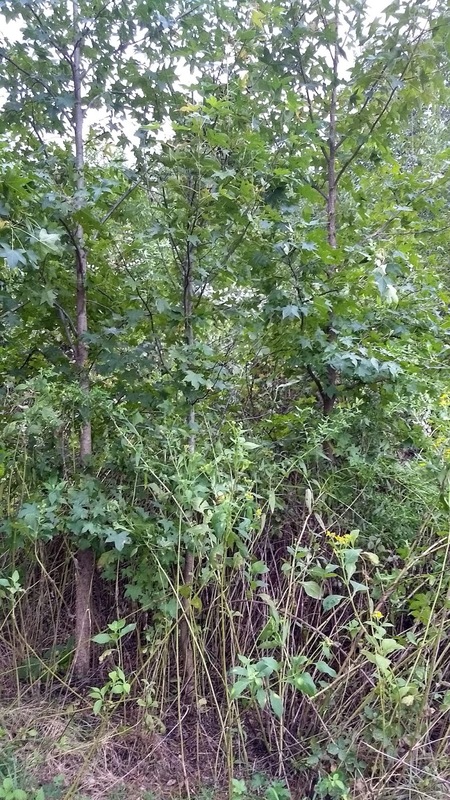 Management - Tolerates hot, dry and poor soils, pioneer on abandoned pastures, forms thickets from suckers. Other than just being a habitat for animals, forest produce a good cover for our environment shading us from strong wings and acting as a source of livelihood for our communities everyone should play a part in conservation.